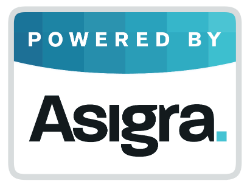 AssureStor, a leading Cloud Backup and Disaster Recovery service provider for the UK channel, is pleased to announce the successful transition of it’s award winning backup2cloud platform to the latest Asigra v13 software. Among the many features added in version 13 are enhanced Cloud-to-Cloud backup support for Office365, Disaster Recovery-as-a-Service (DRaaS) enablement featuring VMware vSphere replication and endpoint data loss prevention. Data protection complexity remains a challenge for enterprises seeking broad protection of disparate operating environments across distributed locations. While some categories of data have short recovery time objectives (RTOs) and frequent recovery point objectives (RPOs), others such as email archives have longer RTOs and infrequent RPOs. 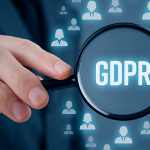 Managing a spectrum of data protection options to ensure end-to-end data recovery can be extremely complicated and costly. The AssureStor BaaS platform, based on Asigra Cloud Backup Version 13 offers a converged platform that delivers a single, comprehensive solution for all data located on physical servers, virtual machines, mobile endpoints and cloud applications. 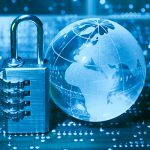 Converged Data Protection – Enterprises struggle to meet the convergence of data protection needs in a way that minimises complexity and is cost effective. Asigra Cloud Backup version 13 addresses this need by including more integrated options for DR, backup/recovery, backup archiving and security. Disaster Recovery-as-a-Service Enablement – Version 13 includes VMware vSphere replication to meet rigorous recovery time objectives (RTOs). The new capability allows for replication without backup to one or more warm, on or offsite replicas. Suitable for the most demanding RTOs, Asigra eliminates the need for 3rd party VM replication solutions or special skills to manage and maintain the alternate solutions. There is no additional charge to existing customers for this feature. 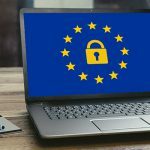 Office 365 Data Protection – Using Asigra Cloud Backup, organisations can protect Microsoft Office 365 data at all times, automatically. 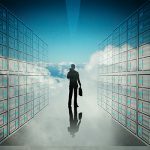 The latest integration allows companies to recover data beyond documents and spreadsheets to include Exchange Online, SharePoint workspaces and OneDrive repositories. Mobile Device Geo-Location and Remote Wipe – Data on mobile endpoints needs better protection as hundreds of thousands of mobile devices are lost or stolen each year. For enhanced mobile device data protection, version 13 includes integrated geo-location and remote wipe at no additional charge to help enterprises close the mobile endpoint security hole. The feature allows users to find the location of lost or stolen devices quickly from the Asigra DS-NOC with a convenient Google Maps interface and wipe data remotely if required. Microsoft SCCM Integration – Allows IT administrators to easily and cost effectively deploy and configure Asigra Cloud Backup client software across thousands of Windows mobile endpoints not connected to the LAN. 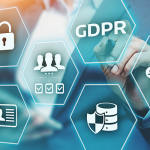 For more information on how the AssureStor backup2cloud platform can provide true end-to-end data protection contact us or read more information here.